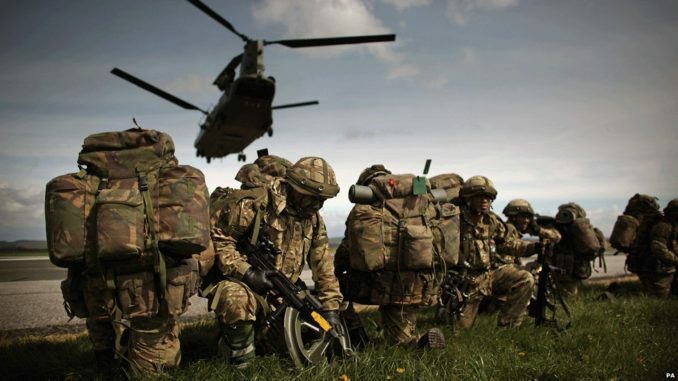 Over 10,000 military troops from 13 different countries are set to arrive in the UK for a “major exercise” one day after Brexit is supposed to occur. The troops will include military personnel from the UK, Belgium, Canada, Denmark, Estonia, France, Germany, Italy, Latvia, Lithuania, the Netherlands, Norway, Spain, and the US. Gov.uk reports: The aim of Joint Warrior is to allow the UK’s Royal Navy, Army, Royal Air Force and their allies to conduct joint operations involving different forces and units and against a range of current and future threats.